Deer in headlights is the best way to describe the situation on the San Diego Chargers offense. Injuries and free agent losses have drained the team of its trademark talent. Can they stop the bleeding by pursuing Maurice Jones-Drew? Part of why the Chargers offense was so feared five years ago was because defenses didn't know how to attack them. If they rushed quarterback Philip Rivers they had to deal with LaDainian Tomlinson and Darren Sproles. Then again if they keyed on those two, Rivers would find Antonio Gates and Vincent Jackson through the air. Those days are long gone now. Tomlinson retired, Sproles is in New OrlÃ©ans, Jackson in Tampa Bay and Gates battles injury every year. With an offensive line and group of receivers either hurt or lacking talent, the team had their hopes set on the shoulders of promising young running back Ryan Mathews. Not one half into the preseason those hopes fell apart when Mathews broke his clavicle bone. Best guesses by doctors say he won't return with any guarantee of safety until week three of the regular season. Given the fragile state of the offense and the weakening hold head coach Norv Turner has on his job, only Rivers or a minor miracle can save San Diego from a rough season. Could they go get some help on the trade market? 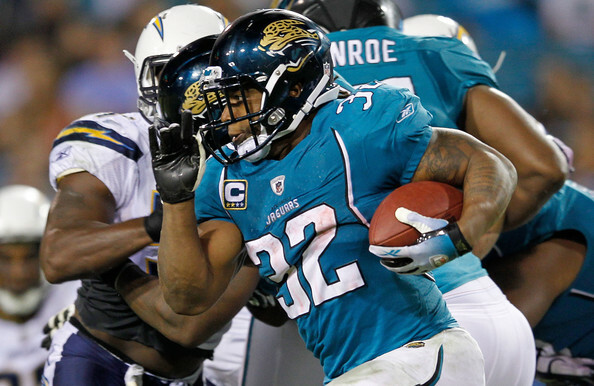 Most expect the mini feud to blow over between Maurice Jones-Drew and the Jacksonville Jaguars. He was and still is the key to their whole offense while youngsters like Blaine Gabbert and Justin Blackmon mature. Apparently that hasn't stopped the team from at least taking calls from other NFL squads interested what it would take for a trade to happen. There is no shortage of teams with a need at running back. The Detroit Lions and Pittsburgh Steelers jump to mind. Jones-Drew and his agents made it clear if Jacksonville doesn't want to pay a man who ran for 1,600 yards and eight touchdowns then he is more than willing to join a team that does. It would shock many football fans if the Chargers weren't a part of that group. Adding a Pro Bowl running back would not only give the team a dynamic tandem when Mathews returns, but also save Rivers from trying to do the impossible with an ailing receiving corps. Maurice Jones-Drew wants to get paid to stay with the Jacksonville Jaguars but also isn't afraid to leave. Philip Rivers carries the San Diego Chargers, but if Ryan Mathews can't get back soon enough then the Bolts need to jump to first in line on getting him.